﻿ Mangala Zen Garden & Luxury Apartments, Da Nang | FROM $91 - SAVE ON AGODA! "Nice serene and secluded resort, friendly staff and and clea..."
Have a question for Mangala Zen Garden & Luxury Apartments? "Very nice area with beautiful grounds and facilities." "Great breakfast with local specialties and healthy ingredients Tranquil location, recommend for a retreat"
"Hotel was absolutely gorgeous staff is extremely friendly, and the amenities were top notch." "Great situation for Golfer, as Golfcourse near by and the wi..."
Mangala Zen Garden & Luxury Apartments is located on Marble Mountains Beach in front of the Eastern Sea and behind the Marble Mountains. 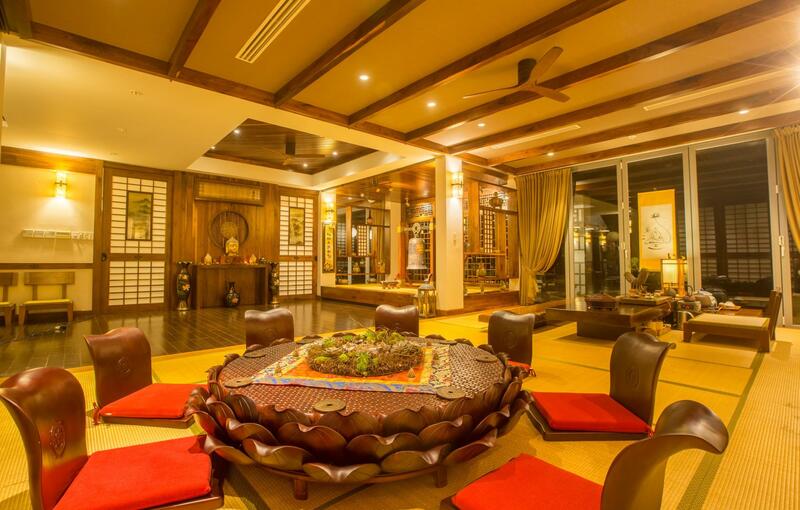 The most special thing about this property is the unending source of inspiration taken from Maha Mangala’s Sutta, which allows you to experience and enjoy life to the fullest extent. Mangala Zen Garden & Luxury Apartments helps you to focus on your daily life through the surrounding sounds, air, scents, wind, and touch. The Life of Mangala helps you to take care of your body and mind. Other than training in awareness of your surroundings, the property uses ‘real food’ to bring body and mind together in harmony. You can also participate in special daily programs that will enhance the Mangala Feeling. On offer are meditation trainings, breathing exercises, martial arts, or just the silence and peace that surrounds you. Mangala Zen Garden & Luxury Apartments is designed for you to unwind, relax, and find peace and silence and to take care of your spiritual well-being. This place is in between Hoi An and Danang and pretty close to get to both places.Very close to restaurants and cafes as well but by taxi. This place is very beautiful and spacious.Large rooms and living area.swimming pool etc.The staff were very friendly and always offered to help. A big coumpound shared with 2 or 3 housing companies. A long way to walk to the restaurant and reception, although you can call for a buggy to pick you up. The service needs improvement, not blaming the staff but a lack of supervision at the restaurant. Great situation for Golfer, as Golfcourse near by and the will you pick you up at the Resort. It feels like you are staying in a villa more than in a hotel. This "hotel" only has 5 bedrooms. It's full of "Zen" atmosphere & well-decorated. The hotel is located inside the Ocean Villa and you can use its facilities as well. Very quite place. It is located along the Da Nang beach and the beach is just amazing! We stayed in the spacious Lotus Suite with 180 degree seaview. You can enjoy the sunrise from your room. Staff are very friendly and helpful. Just make sure you know the hotel only serves Veggie food but the food is really good (I am not vegetarian). You can go to the restaurant in Ocean Villa Area ( 5 mins walking) if you really need meat! The located is in between Da Nang & Hoi An. It takes around 15-20 mins to both places. You can easily get a cab from the hotel. Make sure you get some supplies from the town since there is no convenience around Ocean Villa or nearby! 1. We booked a 2 bedroom apartment in late April for our stay in early June, we were told our apartment is not available due to maintenance upon check-in. No advance notice was received. 2. They offered "upgrade" to 2 separate bedrooms right upstairs of the reception. There are 4 rooms on the same floor and also public area for staff and other guests, we lost our privacy and living room space in the 2 bedroom apartment. How could it considered to be a "upgrade"? 3. We expressed our disappointment but the staff suggested we could BOOK ANOTHER HOTEL now. We would definitely look for another hotel if they inform us in advance! Was it a 5-star hotel customer service? 4. After over an hour of argument, we were finally offered 3 bedrooms upstairs but our vacation mood was completely ruined. 5. Sound proof need to be improved, we stayed upstairs of the dining place and were awake by the sound that people in and out for breakfast in the early morning. 6. For guest with religion, note that this hotel is Buddhism. We were lucky to have no such concern. 7. Do not expect any activities offered by this hotel, the only thing they offer is Mediation class. I sent an inquiry, a week prior to my arrival, for the activity available but never get a reply. 8. Not every seats in the public area can be seated, I was told to seat somewhere else because the area is for mediation, without any reminder placed in that area. 9. Only vegetarian food offered for breakfast but tasted good. 10. This hotel is inside The Ocean Villa and shares facility e.g. swimming pool. You can go for The Ocean Villa directly as their breakfast place is right next to the pool. 11. The rooms are spacious with good wifi network. I would like to accredit those cleaning staff, the rooms are spotless. 12. Taxi from Da Nang city to this hotel costs VND 250,000 one way, just for your reference. 4 travelers found this review helpful. Did you? We like this hotel very much. Very clean beautiful large territory of the hotel . Very friendly and helpful staff. We stayed in the apartment with 2 bedrooms. Large apartment, including everything you need. Very tasty breakfast in the vegetarian restaurant. Nice clean beach, warm sea. Recommend for a pleasant stay, including for families with children. The staffs are nice there and the service is good as well. The room is big and it is very close to a private beach. The only disadvantage is that the location is somewhere in between danag and hoi an and there is NO shuttle bus provided in this hotel. As a result, you need to take taxi for nearly every activity. First of all, the apartment i stayed at was very spacious, very clean. 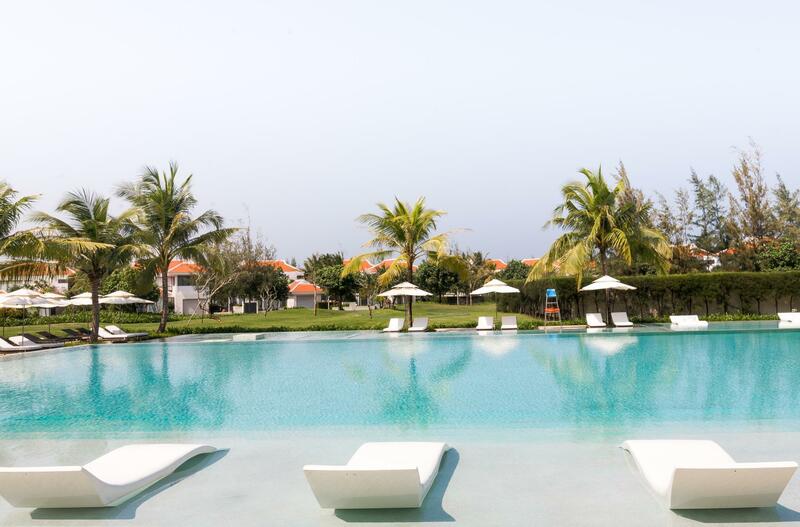 Be prepare to expect a little higher budget because this villa is located in the middle between Danang City and Hoi An. But the private beach at the white caps was worth it, best sun tan experience ive ever had. Very good quality and good service of the staff, very patient staff and nice atmostphere of the envirnoment. Only one thing is they have only one restaurant among the whole village. Will higly recommend friends to stay and will definitely go back again! Thank you both manager from Ocean Villa and manager from Magala. We stayed in an apartment with space and kitchen which made you feel at home. The staff was so helpful and welcoming. The place was with good security and the food from the restaurant was delicious. The view of facing the beach was wonderful and relaxing. It was around 25 minutes' drive to Hoi An which was not really far but it gave you a more quiet place to stay. Highly recommended place to stay! This was my first time in Da Nang, so I can't really compare with other options. Mangala is basically a giant villa facing the beach, and it's gorgeous. 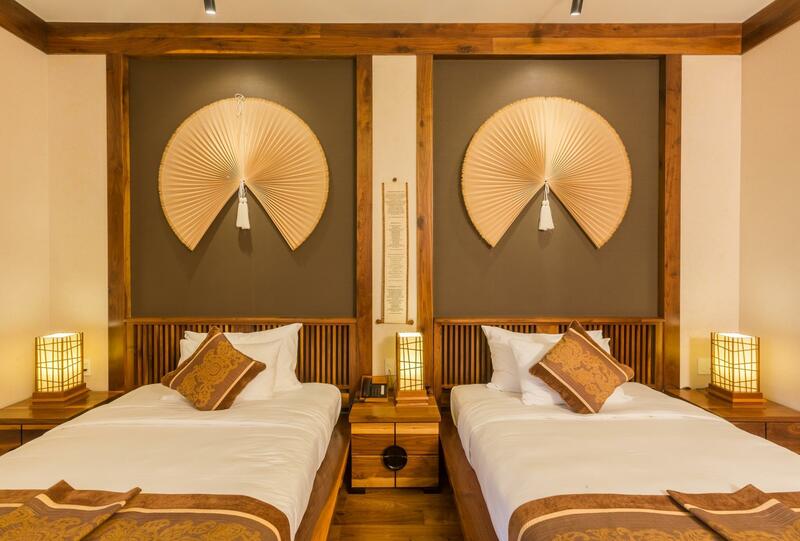 The decor is superb (japanese style i think), the rooms are very spacious and comfortable, and the staff is extremely friendly and attentive. I'm not sure what to make of the location, since it's 30 minutes from Hoi An on one side and 30 minutes from Da Nang on the other. However, that's the case for all the luxury hotels and villas in the area and it's not an issue if you just plan on staying in the villa and enjoying the beach (which is gorgeous). 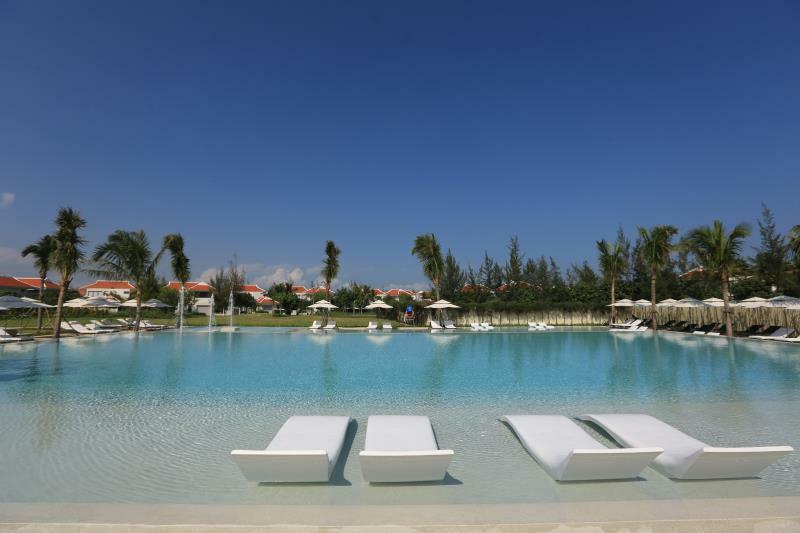 Being a villa, it doesn't have the facilities of the large resorts but still, it has a pool and its own beach. That should keep most people happy. Hotel was absolutely gorgeous staff is extremely friendly, and the amenities were top notch. Can’t beat it for the price. Can’t really walk anywhere, but it’s in between Hoi An and da nang. Pros: Spacious and clean with open kitchen, complimentary 2 bottles of water/day & supply of toilet amenities. Cons: 1)Location too far away from Da Nang City centre. 30-min taxi ride each way and cost USD15 single trip to famous restaurants in downtown such as Runam Bistro, Madame Lan. 2)No restaurant or convenience store nearby. Closest restaurant takes about 15 minutes taxi ride. Only two restaurants within the premises (The ine that serves vegetarian food only opens upon request and the other one that serves continental food is expensive with limited choice of food). 3)No hotel shuttle provided. Given that the resort is highly inaccessible, shuttle bus going from and to airport, Da Nang downtown should be provided! 4)When we registered for the shuttle bus to Hoi An, staff told us that they had to accommodate the guests of Ocean Villa first. If the 16-seat bus is fully seated, we, guests of Mangala Resort will have to find our own way as they only operate 2 times a day!WTF??!! Good detox bfast, cozy room, great staff but location is too far from town.